I am so excited to be running this race! I’d like to run it again in the future and run for a charity. Good luck with your training! Good luck, and we have something similar in Canada called the Army Race in Ottawa. Yes!!! I heard of this one. In September right? It always sales out. I also would like to do Ottawa marathon! Are you going to run either? Not this time. I have friends who have run or power-walked it and they come back with very positive feedback about the race. It is on my bucket list to power walk the half -marathon. Meanwhile, I have only signed up for Sporting Life 10K in Toronto on May 12. Imageine, in that race, some 27,000 people race down Yonge Street–a real sight and the experience is phenomenal. This is my third time with the race. 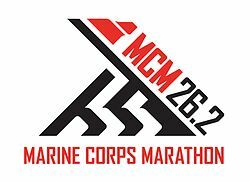 MCM is what I want to do for my first marathon next year. I do know registering is crazy so I’ll have to strategize now how I’m going to make it happen. Any suggestions? That’s awesome! It will be a great first marathon! You will get the true experience of all the positive energy and motivation from other runners and spectators. It’s a hit or miss with the registration. You just have to wait by the computer until registration opens and then submit and hope it goes through. You could always run with a charity but there are fundraising requirements to meet in order to run. Either way is good! That’s awesome!!! Train hard—- and good luck! Thank you very much Liz!!! You’re awesome. Thanks for all your support. Ill rock it for sure!! Thanks Cassie! I will definitely let you know how it goes! Thats awesome man! I will certainly donate! Let’s get after it man!! That’s awesome! Thank you very much! It’s greatly appreciated! Will you be running MCM as well? Nahh unfortunately not. I got the Tough Mudder, Spartan Trifecta, Warrior Dash, and Rebel Race on the schedule so idk if I could stomach 26.3 miles on top of that! Good luck, this is definitely on the bucket list of races. I had a friend try to sign up for 4 hours yesterday and never get in, your way sounds like a better way for so many reasons! Thanks! You should try and do it next year! What other races are you interested in running? Right now I am just thinking of doing OBX full in November (I have already done a full and two halves so far this year). I’m in my last year of PT school too which isn’t allowing much travel as of now, haha. What else are you doing this year? Nashville is awesome. Be prepared for hills and heat. I did it last year and it was over 90 at the end at 10:45. Awesome race though for sure! Good luck! Seriously? Lol. What percentage of the race would say are hills?